October has a bad reputation among investors. Partly justified, one might think: in 1987 the FTSE All-Share Index fell 27% in the one month of October, and then in 2008 the index fell 12% in the month. However, a glance at the accompanying chart tells a different story. 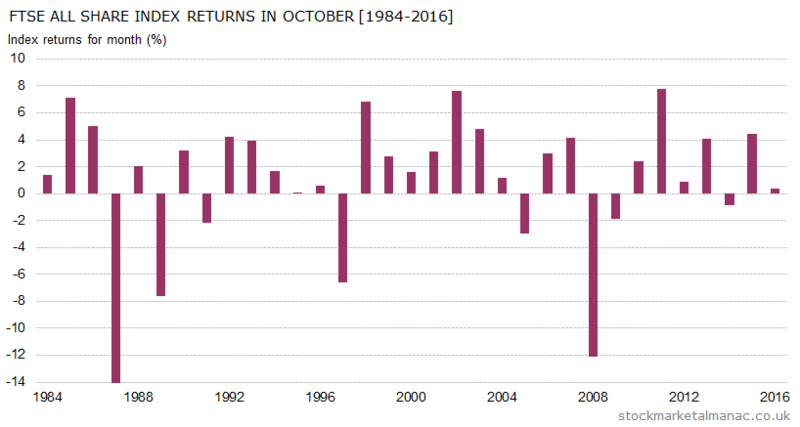 In the 27 years since 1970, the UK stock market has only seen negative returns in October in six years – a record second only to December. And in recent years equities have remained strong in October, only falling in one year since 2010. But, while average equity market returns in October may be better than thought, the month does have a deserved reputation for volatility. Only September can challenge it for share price fluctuations. The strength of equities in October may not be unconnected with the fact that the strong six-month period of the year starts at the end of October (part of the Sell in May effect) and investors may be anticipating this by increasing their weighting in equities during October. 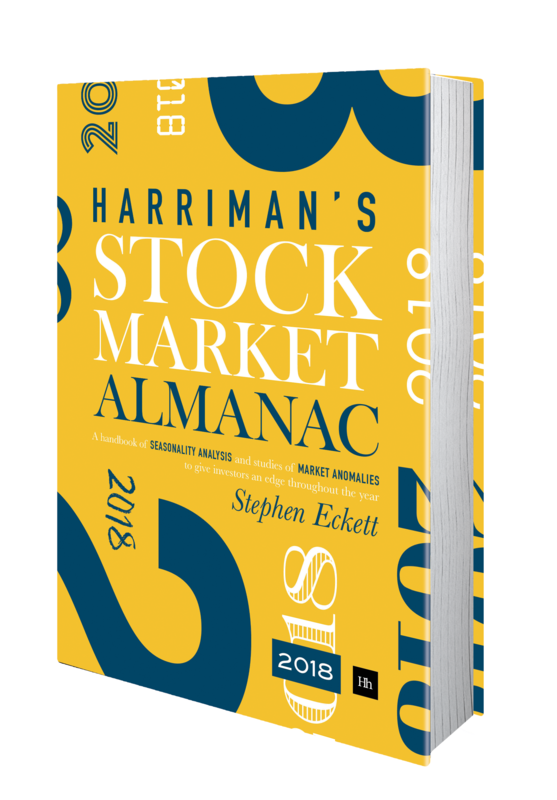 The last day of the month also tends to be strong, in fact it has the best record of any month’s last trading day – which, again, may be related to the Sell in May effect. But while October, therefore, should be regarded as a good month for shares, any occasional weakness in the month can be severe. In the last ten years, shares that have the strongest record in October are: Diageo [DGE], Tate & Lyle [TATE], and Whitbread[WTB]. Especially strong has been Diageo, which has seen positive returns in October in every year since 2006, with an average return in the month of 3.1%. By contrast, weak shares in October over the last ten years have been: Marshalls [MSLH], William Hill [WMH], and UDG Healthcare [UDG]. The month is one of only two months (the other is September) that FTSE 100 stocks tend to out-perform the mid-cap FTSE 250 stocks – since 1986 the FTSE 100 Index has on average out-performed the FTSE 250 Index by 0.7 percentage points in October. Dates to watch out for this month are: 6 Oct – US Nonfarm payroll report, and 31 Oct the two-day FOMC meeting starts. Further articles on the market in October. This entry was posted in Market, News, October and tagged month review by Almanacist. Bookmark the permalink.